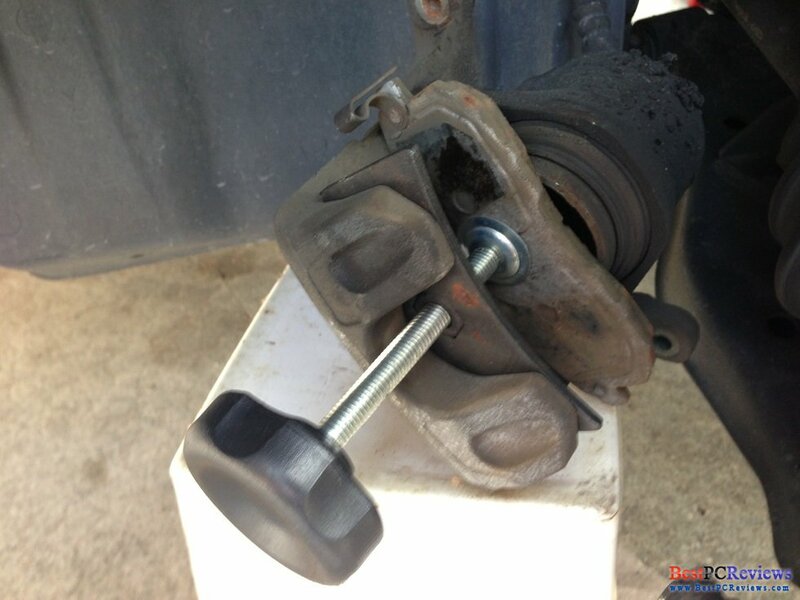 In this article, I will show you how to replace front brake pads and rotors on 2002-2004 Infiniti i35 and 2000-2003 Nissan Maxima. Read full article. 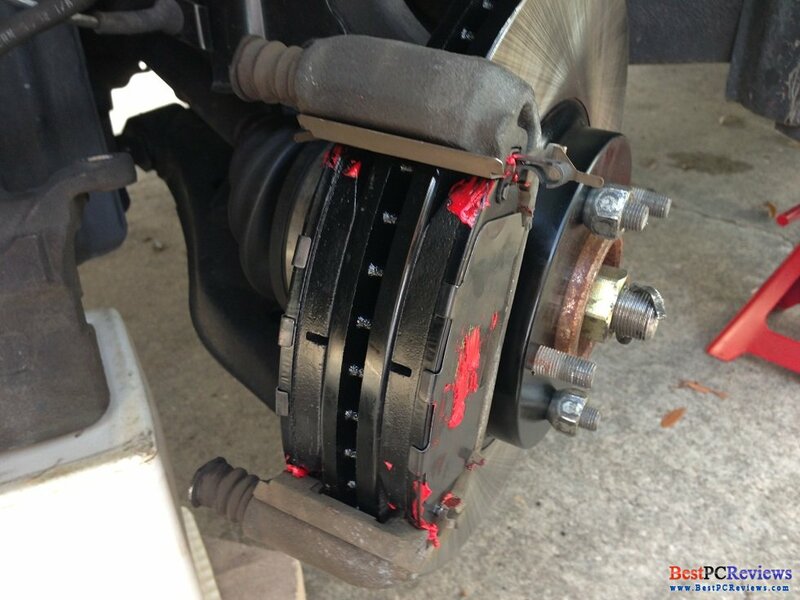 If you noticed that your car vibrates when you slowing down on the road or your car makes squeaking noises when you brake, it might be a good time to replace your rotors and brake pads. First, lets look at what tools you need for this job. 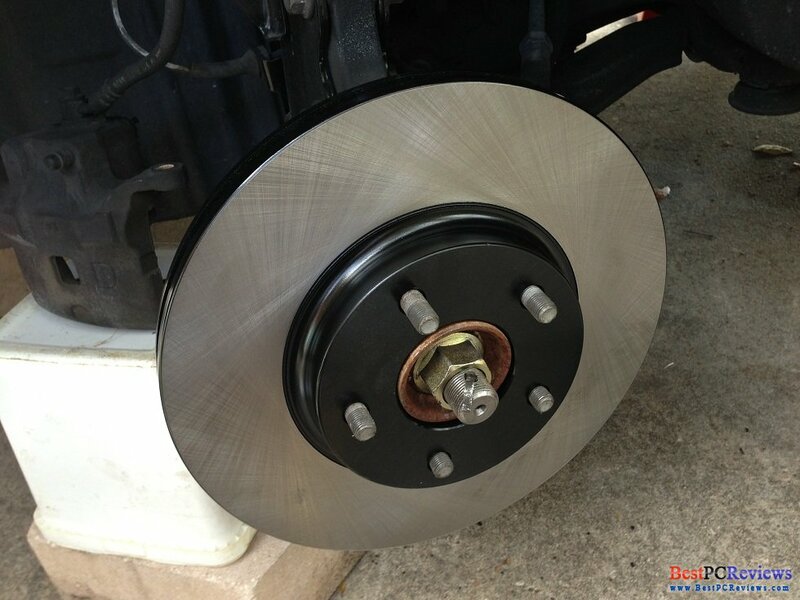 Rotors - I recommend getting brand new rotors instead of finding somewhere used ones or repolishing your current ones. Only exception would be if you have expensive rotors with slots, speaking of which you only need if you are racetrack driver. 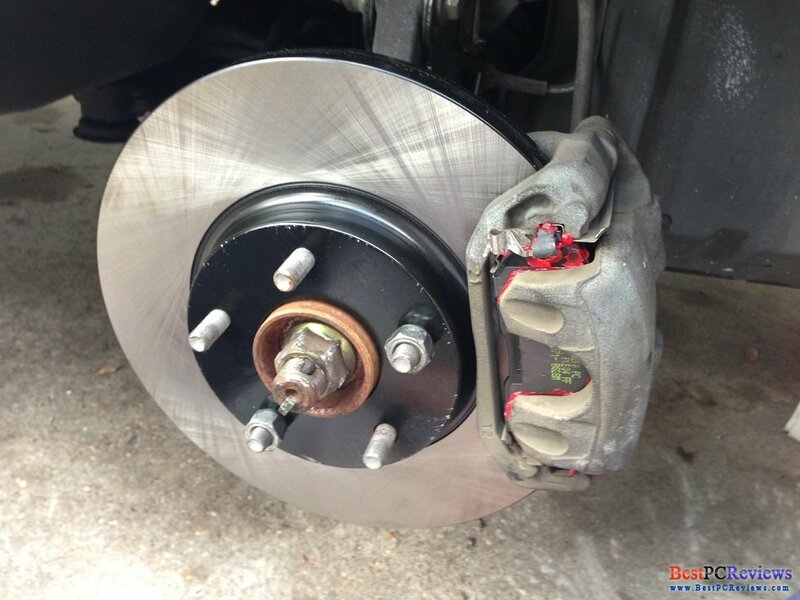 Brake pads - I recommend Hawk Performance Ceramic Pads as they are quiet, low dust, and have pretty good braking distance. 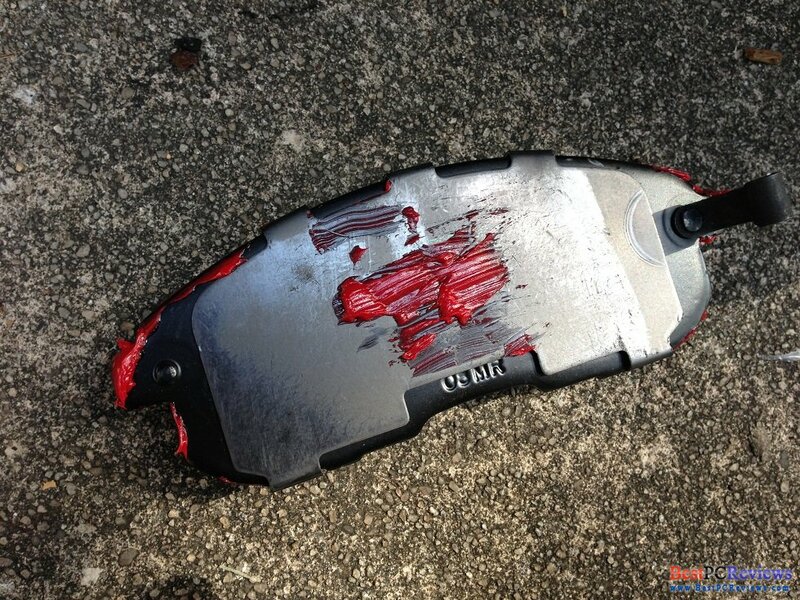 There are lots of options out there, but you do not need superior stopping power, but noisy and dusty pads. I would balance it out between these three specifications: stopping distance, noise, brake dust. One car jack (two recommended if you want to replace two sides at the same time) - I don't think I need to clarify anything here, you need to lift up your car so you can remove your wheels. Tools to remove your wheels - Every car may have different scenario here. There is a good chance that you have in your trunk all necessary tools to remove your wheels. I used flat side of a ranch to remove wheel cover and used another ranch to remove all 5 bolts on my wheel. 19mm and 14mm Ranch sizes are required, I would also recommend some kind of extension tools as it is not easy to remove the 19mm bolts. Step one is park your vehicle on a stable leveled ground. Put your car on handbrake (or leg brake). Remove wheel covers and then loosen 5 bolts on wheels on each side. Lift your car up using car jack. 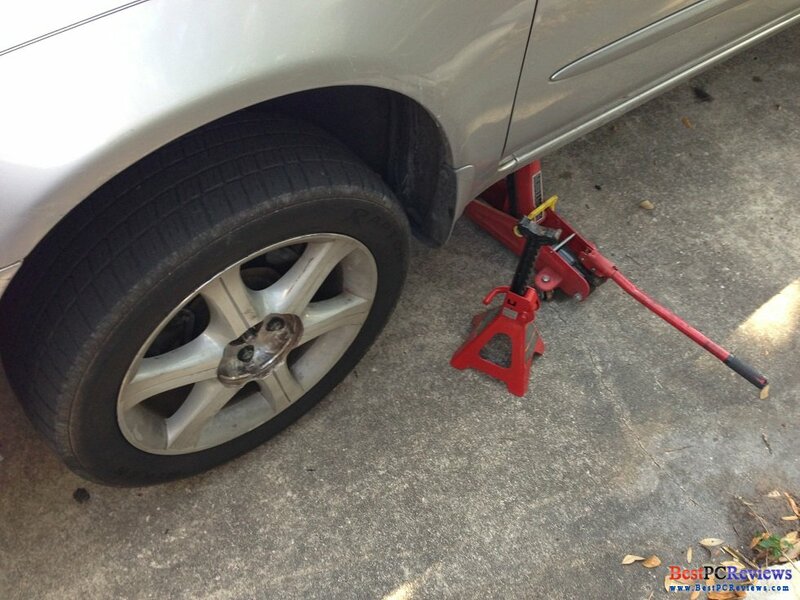 If you have another car jack or jack stand, you can use it to have two sides of your car lifted up. Next step is to remove the wheel. 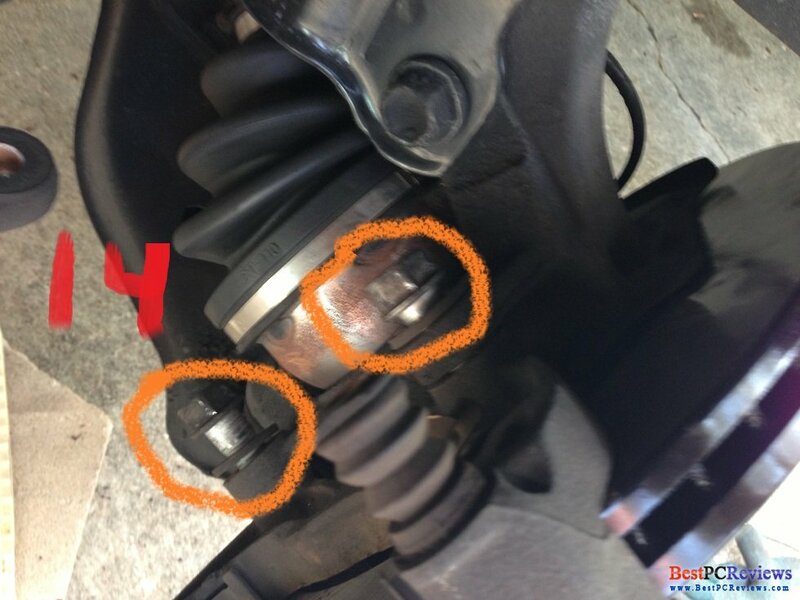 Once it is removed, remove the caliper by taking out two 14mm in the back of the caliper and DO NOT leave the caliper hanging because you don't want to damage the brake fluid hose. You can put couple bricks next to it and put your caliper there. 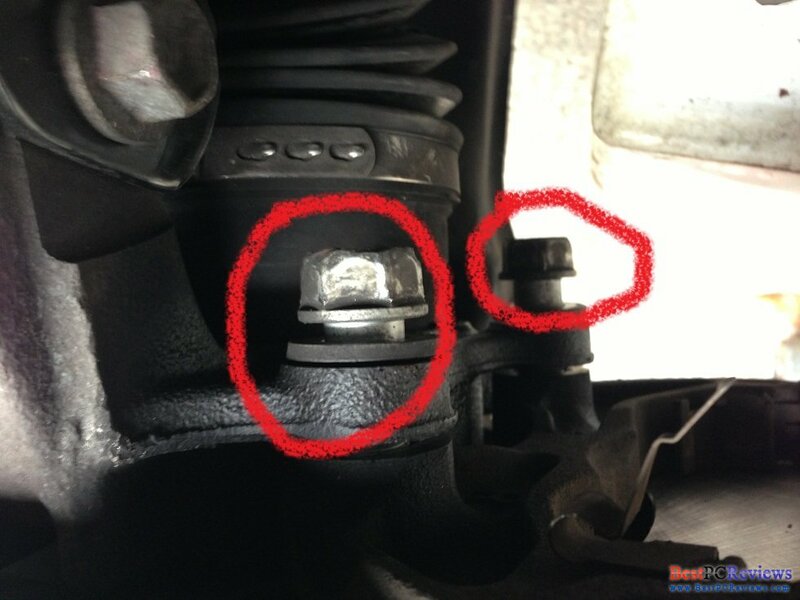 Once you do that, remove two 19mm bolts. It was not easy to remove them. You can try to use punk buster or WD-40 by spraying at the bolts. If that doesn't help, find an extension for your ranch tool and use that with ranch to remove the bolts. Once the bolts are removed, you need to remove the rotor. 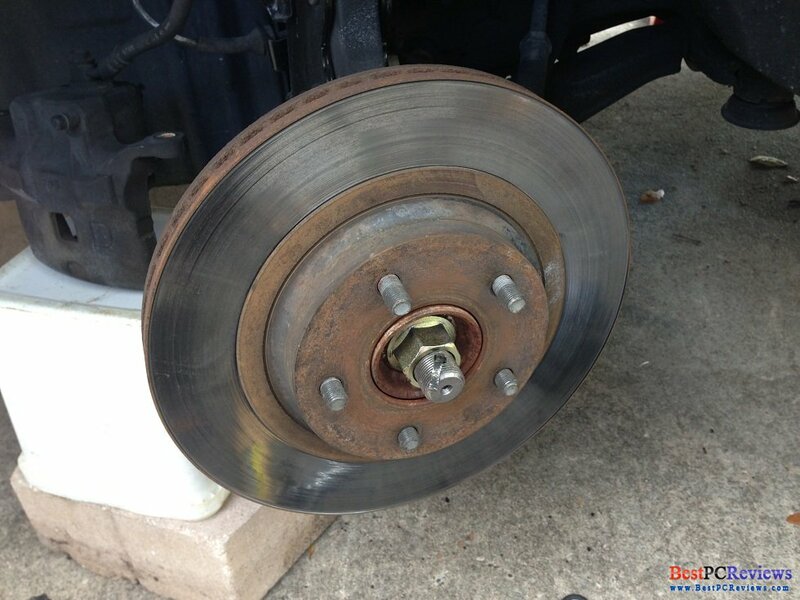 There is a good chance that your old rotors and all around it is rusted so it will take some energy to remove the rotor. If you will not use the rotor again, you are more than welcome to hit the rotor with hammer around to remove the rotors. If you want to be more careful, you can use piece of wood or piece of cloth between your rotor and hammer. Once the rotor is loosen up, remove remaining piece on the rotor and then remove the rotor itself. Take new rotor and clean it with alcohol swipes. Put the rotor in and secure it with 2 bolts from your wheel. Put in two 19mm bolts in the back of the rotors. Attach the part that holds your pads to the rotor. Prepare the pads by putting grease in all corners and back of the pads. 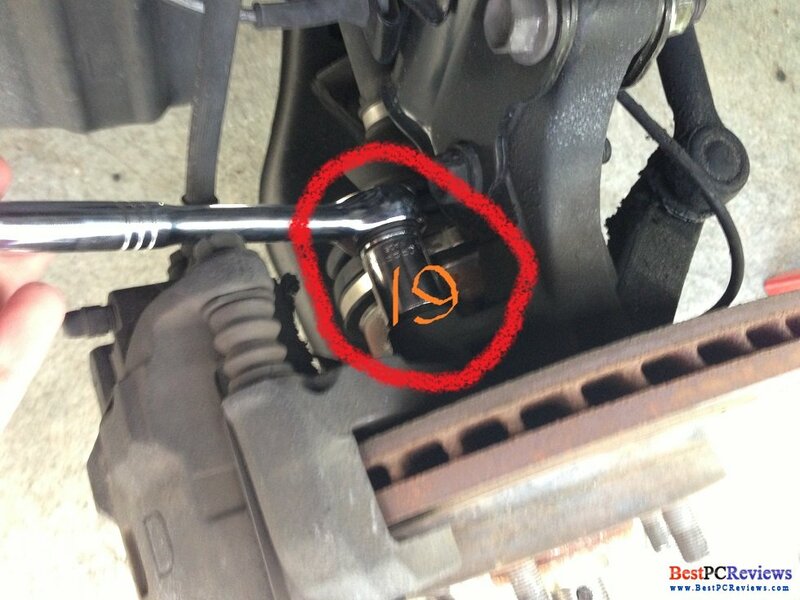 Prepare your caliper by pushing the piston back away using the caliper tool (pictured). You can use your old pad to help you with that procedure. 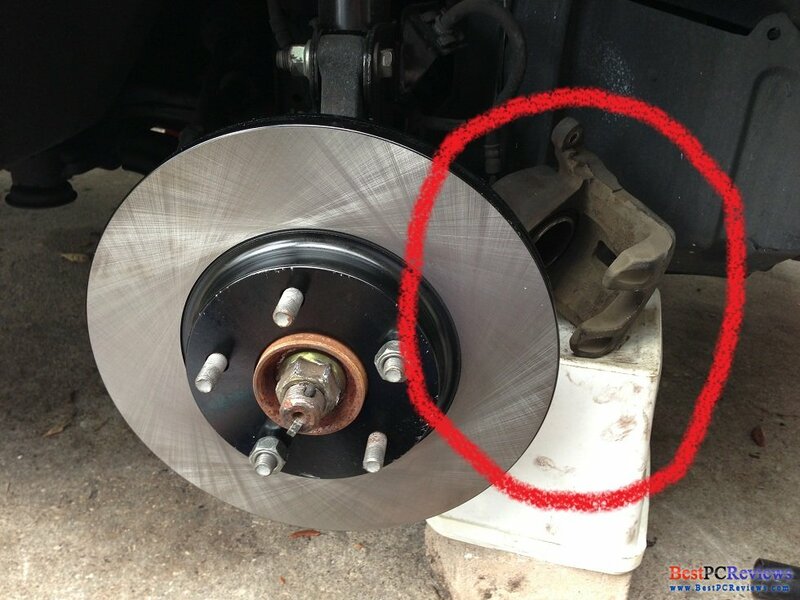 Once that's done, put your caliper back in the place. 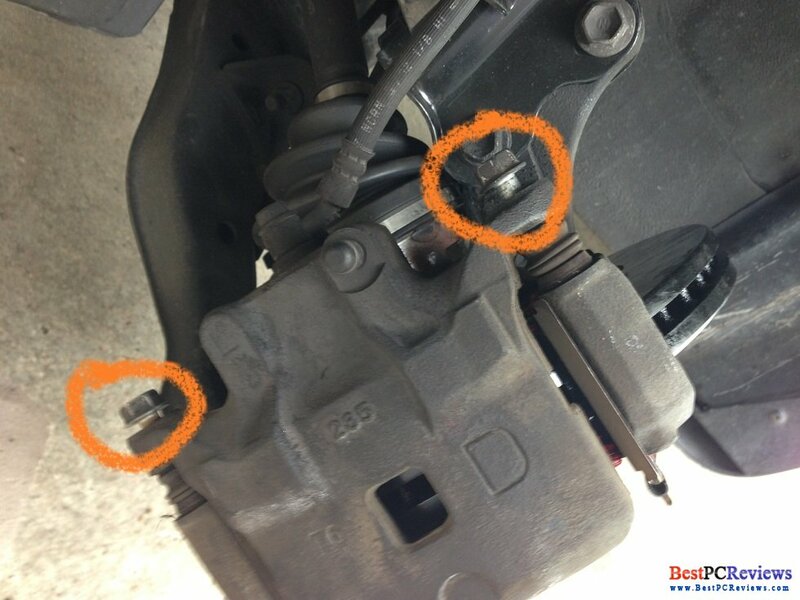 If it won't align correctly, make sure your bolt mounts are facing the right direction. 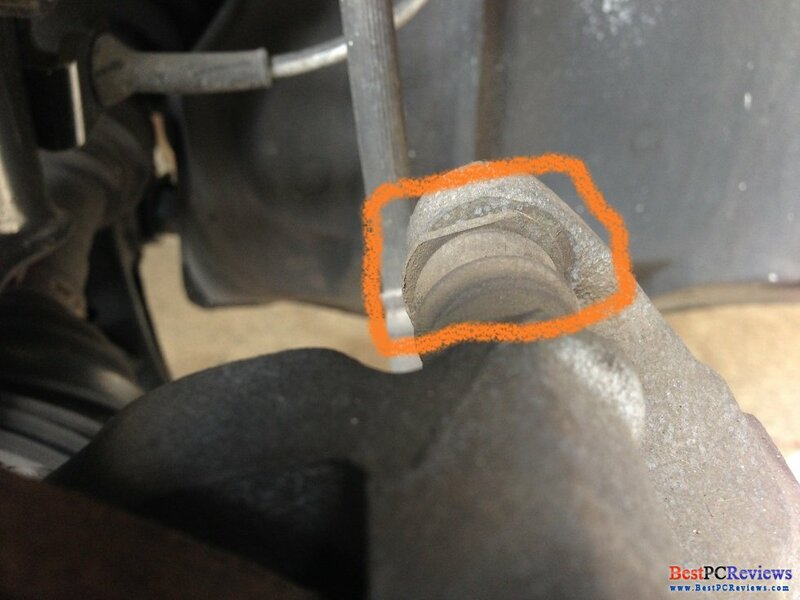 After that, remove two wheel bolts attached to the rotor. 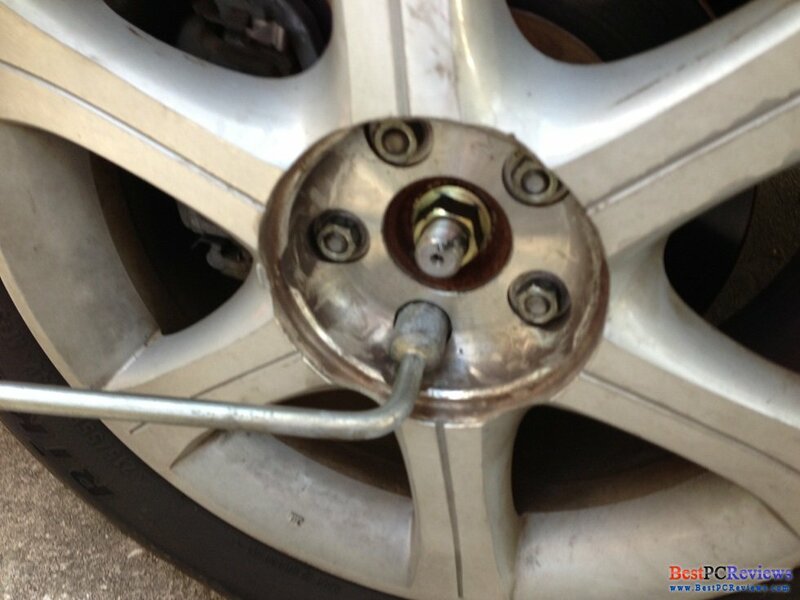 Put your wheel back and secure it with 5 bolts. 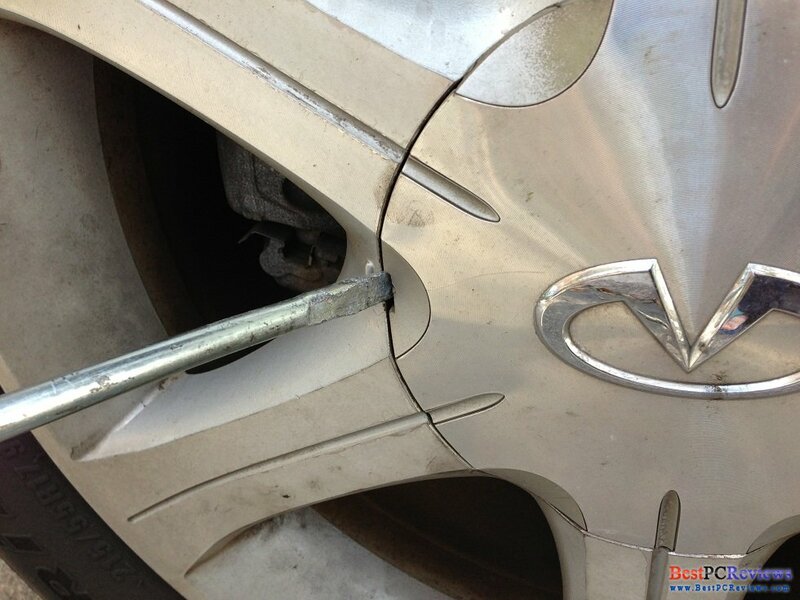 Do not secure the bolts in order, always choose bolts across each other so your wheel is perfectly aligned. Make sure nothing is under car and lower your vehicle. Now that the car is done, tighten all bolts on wheel. Then put your wheel cover back. You all set! 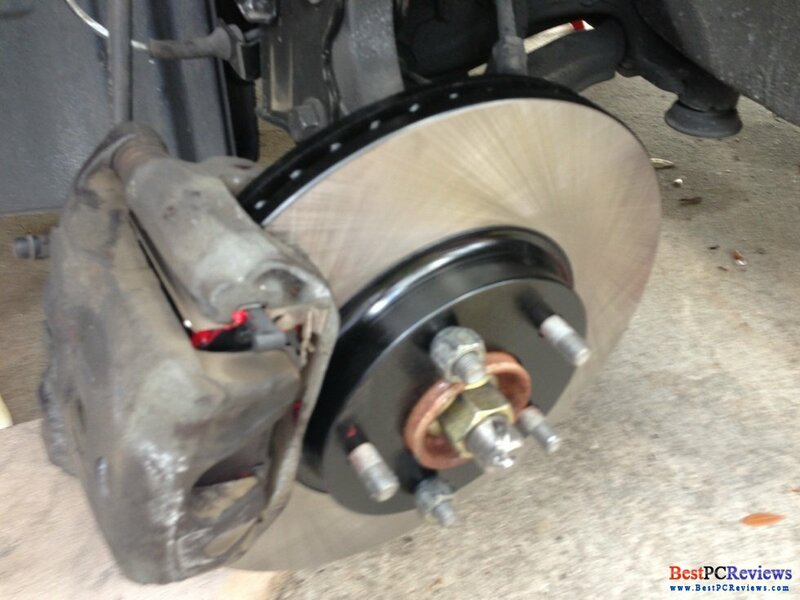 Before driving, press on brakes couple times to adjust your caliper. Once you feel pressure on your brakes, you good to go. 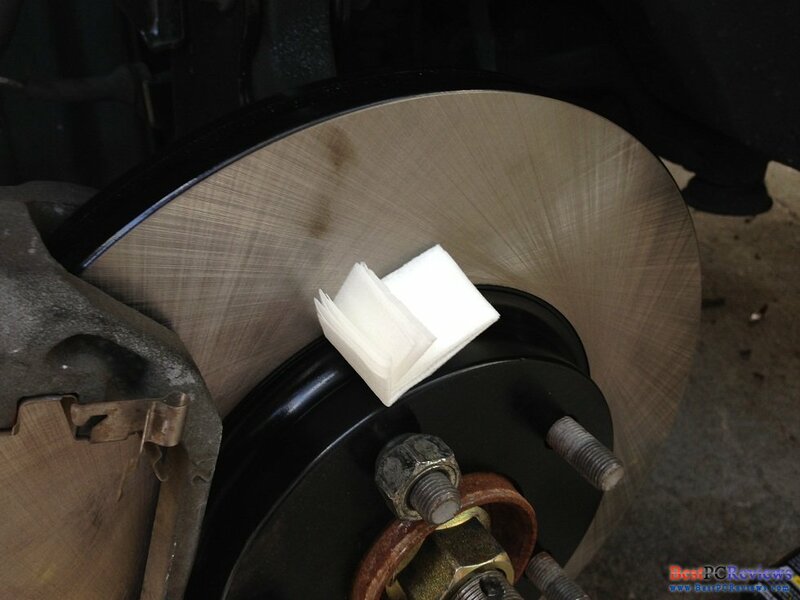 To make sure your brakes work good, follow instructions on your pads. 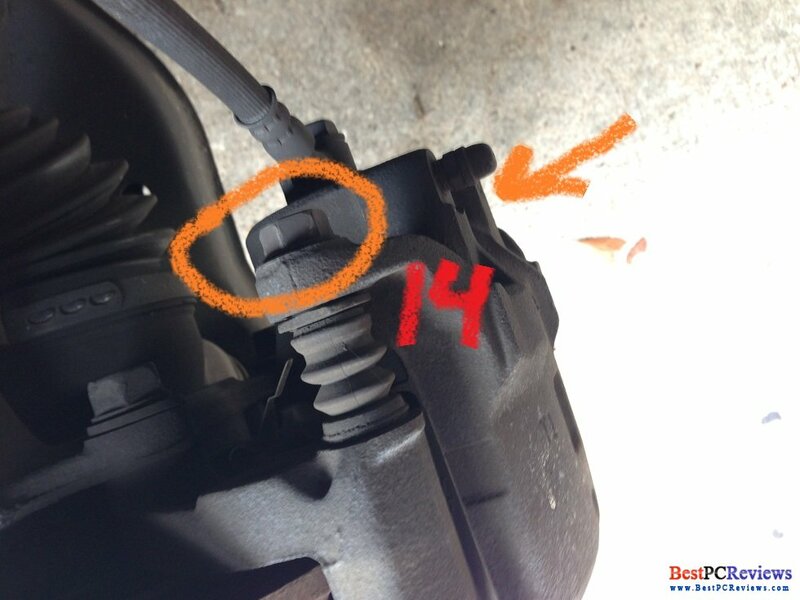 On my Hawk brakes, I had to drive 30-35 mph and moderately brake for 6-7 times. Then I had to drive 40-45 mph and do fast brake for 4-5 times. After that I had to leave my car for 15 minutes to cool down the pads. After that car runs very quiet and has very stable brakes.